The Mercedes-Benz B-Class Electric Drive in its concept form in 2012. 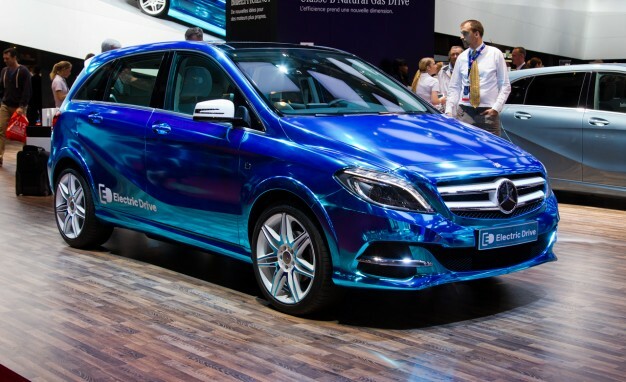 Mercedes-Benz USA confirmed that the production run of the Mercedes-Benz B-Class Electric Drive is at its end. The units of the B-Class after the 2017 model year will no longer offer an electric powertrain. According to Automotive News, the announcement came from the spokesman of the company, Rob Moran. He said that the production of the affected model will halt in the third quarter of this year. Moran didn’t disclose any details about the possible replacement of the soon-to-be phased out B-Class Electric Drive. However, the report claimed that the aim of the company might be to focus its electric cars on the upcoming EQ range. The spokesperson assured everyone though that the B-Class hatchback will still be assembled. The brand bearing the three-pointed star logo will still continue to produce the gasoline-powered and diesel-fed units of the range. Unfortunately, the mentioned powertrains are not available in the U.S. The article noted that Mercedes only sold a total of 3,651 units of the B-Class Electric Drive since it was introduced in December 2013. The target market of the model is limited to a small number of states that has zero-emission vehicle mandates. The other non-ZEV states followed later but it was never fully carried out by the brand’s dealership network in the U.S.
On the other hand, Daimler revealed that it is putting an $11 billion investment in its development of electric cars. Including the upcoming EQ range, the parent of Mercedes stated that it is planning to release 10 new electric cars into the market going to 2022.